Ashburton Junction Signal Box is due to become a reality from Thursday 19th May 2016. 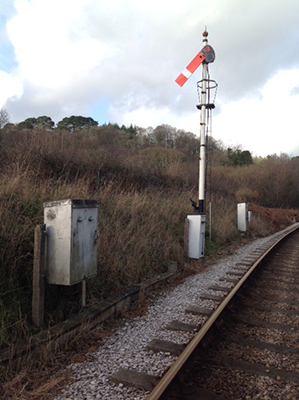 Recent works have included the erection of a temporary starter signal on Totnes Littlehempston platform. 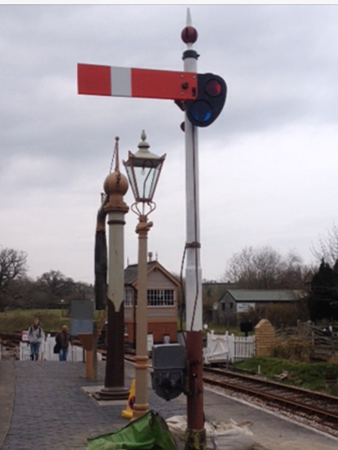 The signal will be replaced with a bracket signal recovered from Evesham in 2011. There are a number of enabling works to be carried out over the preceding week which will change how Bishops Bridge and Buckfastleigh South signal boxes work. For when Bishops Bridge Signal box is switched out the old single line staff will be withdrawn and replaced by a new green electric token issued by Buckfastleigh South or Ashburton Junction signal boxes. When Bishops Bridge is switched in then the existing blue electric token will be used between Buckfastleigh South and Bishops Bridge. A new, similar, green electric token will be introduced between Bishops Bridge and Ashburton Junction. 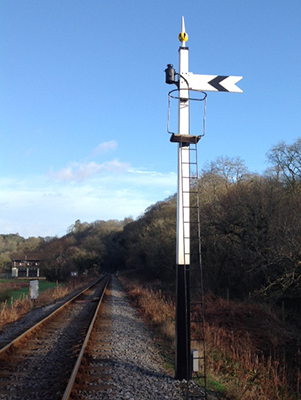 At Totnes Littlehempston the Rare Breeds foot crossing will now come under the control of the signal box and the gates will be mechanically locked by the signalman.